[LIVE] Brand New PLR Product You Can Resell! 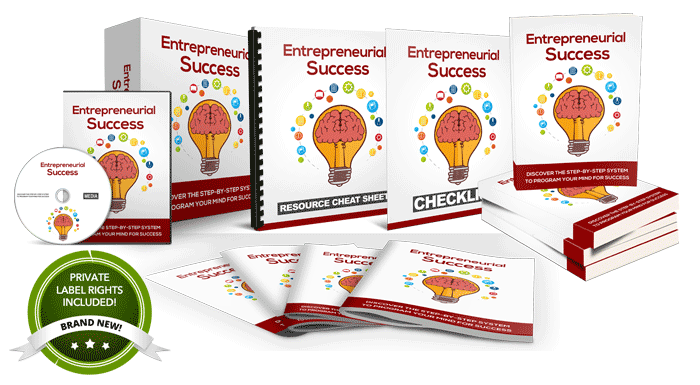 New PLR in Hot Niche - Ready For Resell! Hot New Course Including PLR! No doubt, creating your own information product can take weeks, even months to create. Thankfully, you don't need to do any of that. It's called "Entrepreneurial Success" - Discover The Step-by-Step To Tweak Your Mindset For Success. This one’s smokin’ HOT and in the billion dollar self-improvement niche, and you could very well put your name on this product and resell it for 100% of the profit.